For more than two decades, Gin Blossoms have defined the sound of jangle pop. From their late 80s start as Arizona’s top indie rock outfit, the Tempe-based combo has drawn critical applause and massive popular success for their trademark brand of chiming guitars, introspective lyricism, and irresistible melodies. 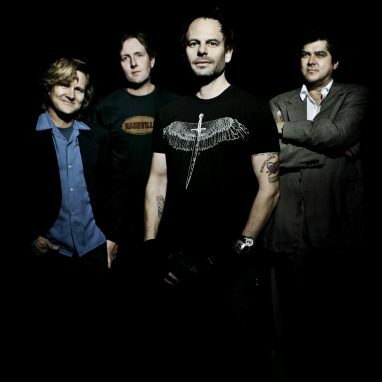 Gin Blossoms soon unfurled a chain of crossover favorites spanning five different formats, from “Hey Jealousy” and “Until I Fall Away” to “Follow You Down” and the GRAMMY®-nominated “As Long As It Matters,” earning the band sales in excess of 10 million in the U.S. alone. Carrera Productions is bringing them to Harris Center on August 19. MyFolsom has tickets. email steve@myfolsom.com or reply to this post for your chance to win a pair. well, heck, I'll try!! Love their music!! Congrats Cindy! You won! I sent you an email with my address. Come get them, as I will be out of town tomorrow. Great show, Steve! I wore ear plugs and stood up and danced the second half. They sang Folsom Prison Blues too! Thank you again.